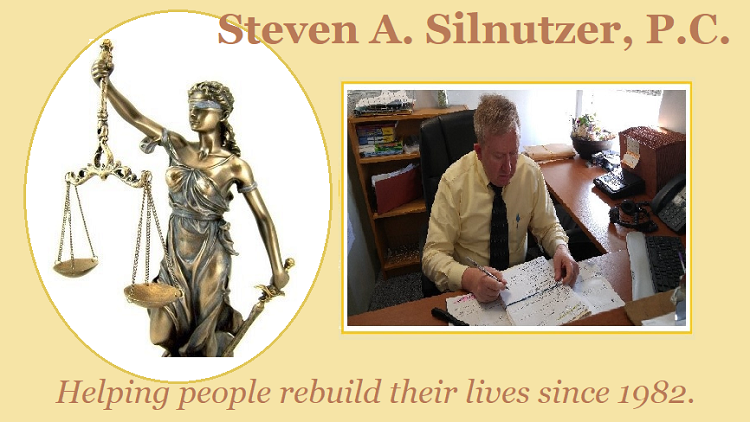 Steven A. Silnutzer, P.C. - Steven A. Silnutzer, P.C. This law office prides itself on the fact that the majority of our clients come from referrals. You can be assured that when you come to us with your legal matter, you will receive the personal attention you deserve. We know that every client who walks in our door is looking for answers to their own unique situation. We will do everything in our power to help you acheive the best outcome possible. That is why we provide a FREE NO-OBLIGATION CONSULTATION in our office to anyone seeking legal advice. We simply desire to offer you the opportunity to sit down with a qualified attorney and discuss the options available for your specific needs.